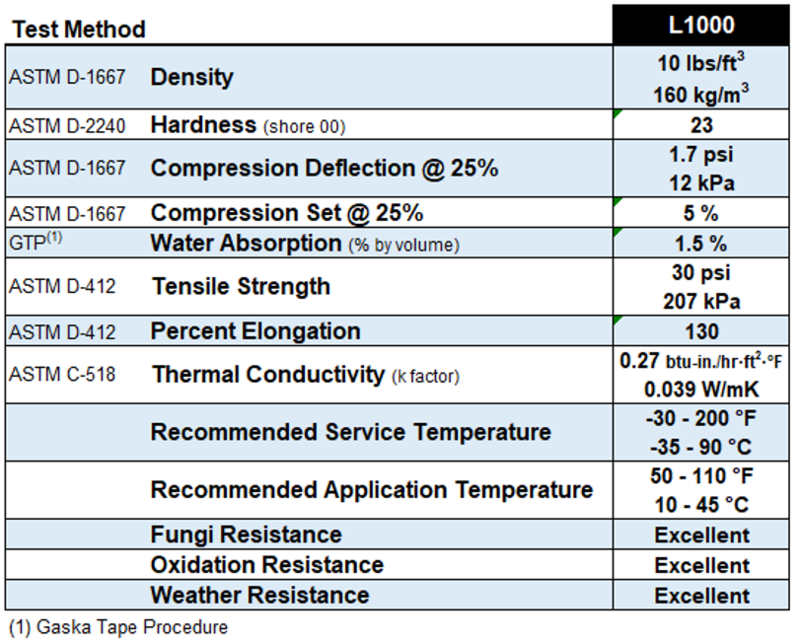 L1000 Series – Gaska Tape Inc. The L1000 Series is available as L1010 with A1, acrylic pressure sensitive adhesive. Adhesive on one side allows for quick waste-free application. Near 100% recovery after extended compression. Compresses easily to allow logs to seat. Used extensively in the log home industry.